Well, to some extent the brand name will give you a clue. When you’re talking about a name you know, a name you’ve known for a long time, that’s going to give you an impression of quality. The problem is that many of those names from the past are just shells of their former selves. If you’re old enough, you might remember quality brands like Zenith or Magnavox. Today those names are owned by Chinese corporations that owe nothing to the brands you grew up with. So it is with some of the largest names in the antenna game. It’s not enough to count on a reputation from decades ago… the best antenna companies prove their worth with every product. I’ve tested tons of antennas here at Solid Signal and I know what I look for. Performance is just the beginning. It’s true that a lot of antennas, even the cheap ones, will work on day 1. You want an antenna that’s going to keep working for you. It’s ok if you’re looking for a short term solution… in that case there are plenty of really inexpensive antennas that will do great for you. However, if you’re looking for the kind of antenna you put up on the roof and leave there, you want to know it’s well built. Some of the antennas put up on roofs back in the 1950s are still there, and it’s because of high-quality construction and materials that withstand the test of time. The top of the line for antennas is laminated aluminum. This is aluminum that’s formed from several different layers bonded together. This creates a very strong material that, like plywood, is stronger than its natural counterpart. Simple extruded aluminum is good as well but there can be issues when extruded tubing is welded together if the extrusion isn’t thick enough. Laminated aluminum is going to be thicker and stronger, and because it’s still aluminum you’ll find it’s still plenty light. High-quality plastics are harder to tell from inexpensive ones, especially if you’re looking at them over the internet but one key, one thing you’ll find that high-quality plastics have and low-quality ones do not, is a polished finish. A pebbled or leather-like finish may seem more desirable but in order to get a finish suitable for polishing, it’s got to be thick enough and consistent enough. Pebbled finishes hide a lot of flaws, and polished ones don’t. If you’re looking at polished, shiny plastic, you’ll find that it’s thicker and better put together. It has to be. The quality of construction is going to carry forward from the parts you see into the parts you don’t. Generally speaking, things don’t have to be thick to work, but when you’re talking about epoxy board, the green plastic that forms the basis of circuits, it should be thick and firm to withstand years of heat and cold. If the outer components are high quality, the inner ones will probably be too. Personally, I’ve become a big fan of the Televes line of antennas. These antennas may look like they’re from 2050, but they’re built more like they’re from 1950. These are the most solidly built antennas I’ve seen in a long time, and the first antennas that I would seriously use to replace the 50-year-old one on my roof. They are a little heavier than the competition, but since they’re aluminum they’re still fairly light. They’re designed with nice touches like a mast mounting clip that actually has little ribs to bite into the mast and with a balun that’s mounted in two layers of plastic so it’s really weatherproof. 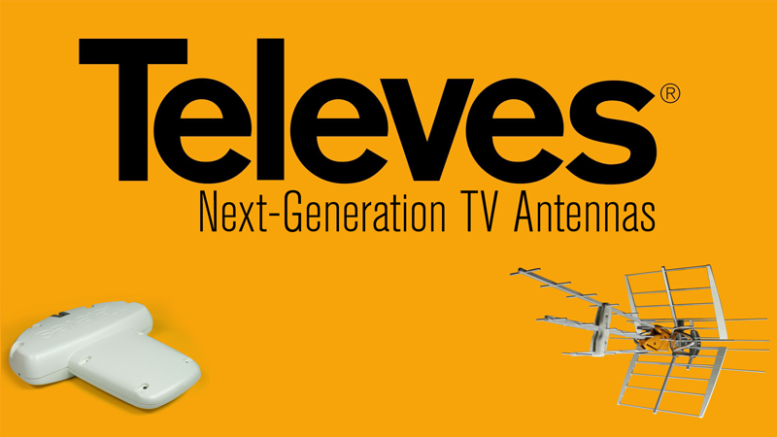 Televes antennas are made in Europe, and they’re hands down the top seller there. If they look to you like Chinese knockoffs, remember that the Chinese only copy from the best. These are the originals, the ones the Chinese looked at and made cheap copies from. The Televes antennas sold in the USA and distributed exclusively by Solid Signal are designed for the US market, for the channels that we get, and filter out harmful cell signals in the frequencies we use. Don’t be fooled or confused by older reviews of European imports that weren’t designed for the US. Our Televes antennas are UL listed, FCC approved, and 100% designed for North American use. How can you tell a high-quality antenna? In the end, ask someone who’s reviewed dozens of them. So, let me tell you… as that person, I say choose Televes.